Muddy's Sunday afternoon performance at Newport Jazz Festival proved a joyful termination, sparked by the opening 'I Got My Brand On You' with Otis Spann honkytonking his way to glory, then powered on with a version of Big Joe Williams' 'Baby Please Don't Go' and concluding with a stupendous rendition of 'Got My Mojo Working'. The set had members of the crowd dancing and Muddy displaying his own terpsichorean expertise as he grabbed James Cotton and the two waltzed across the stage in best ballroom style! 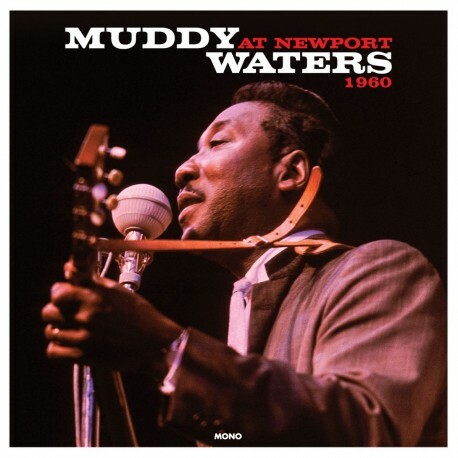 With Muddy utterly exhausted from his efforts, it was left to Otis Spann to perform the vocal duties on 'Goodbye Newport Blues,' a piece featuring an impromptu lyric from poet Langston Hughes, who was present at Newport that day and moved to contribute the perfect ending to one of the finest recordings ever issued in the name of blues. An LP that would aptly be listed twelfth amid the Rolling Stone '50 Greatest Albums of All-Time'.